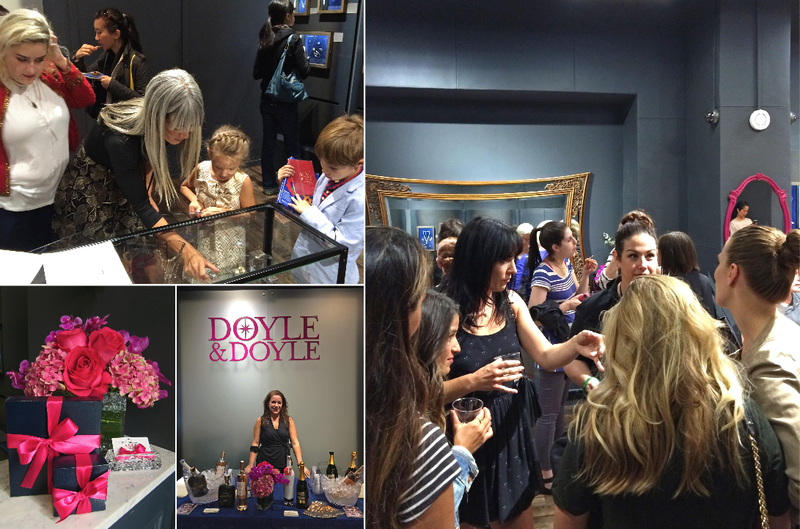 The highlight of the night was our presentation of rare pieces from Elizabeth Doyle’s personal collection. 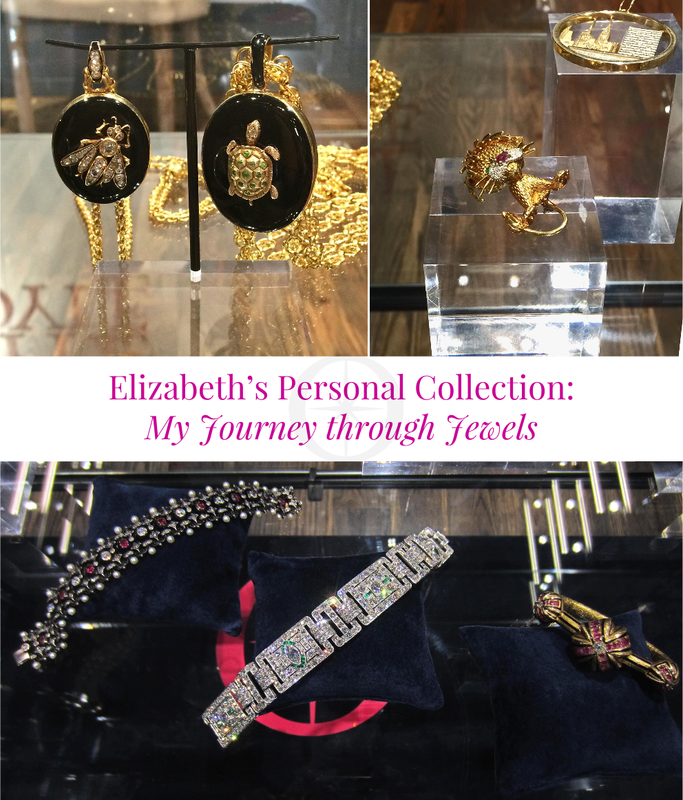 These beautiful jewels commemorate important milestones in her life and show her journey from jewelry lover, to collector, to business owner and designer. 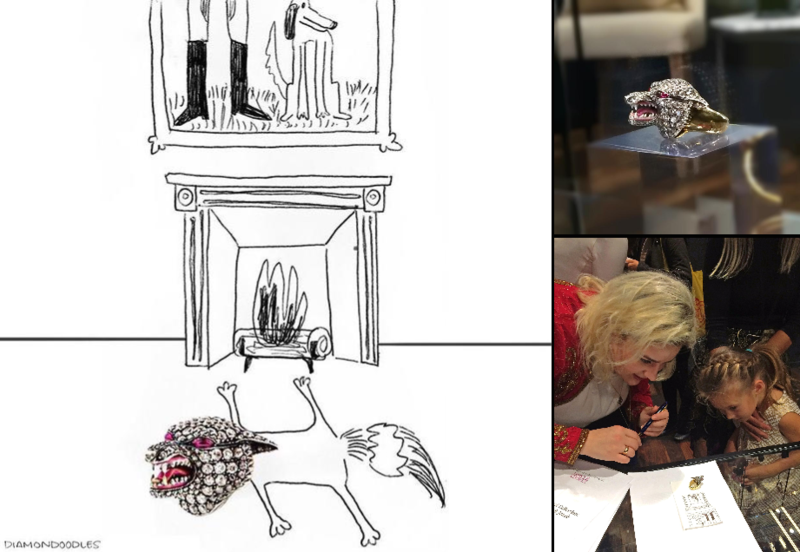 One of the coolest jewelry gals around, Diamondoodles, was so inspired by Elizabeth’s antique diamond fox ring that she created a doodle for us right on the spot! She referenced the ring’s original history as a cravat pin worn during a Victorian hunt and highlighted its realistic snarl. We partnered for Gems with three of our favorite local businesses to provide sweet and savory bites, plus unique cocktails to wash it all down. Mini Melanie outdid herself with jeweled cupcakes, brownies, and truffles that were as gorgeous as they were delicious. Everyone also fell in love with yummy bruschetta bites from Panette in roasted eggplant and prosciutto. The Chelsea Wine Vault rounded things out with speciality prosecco, promegranate tequila, rosé, and (what else?) Manhattans. Sara, our fearless bartender for the night, mixed prosecco with pomegranate tequila to create The Doyle, our signature drink. Everyone who visited all five Gems had a chance to win one of five unique jewels. 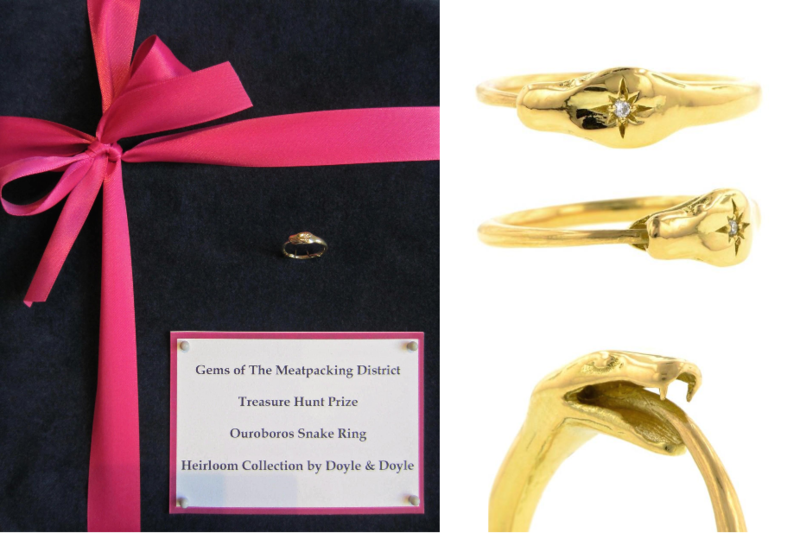 Since we were highlighting Elizabeth’s personal jewelry, many of which inspire her Heirloom by Doyle & Doyle designs, we decided to give away an Heirloom ouroboros snake ring from our FW15 collection. 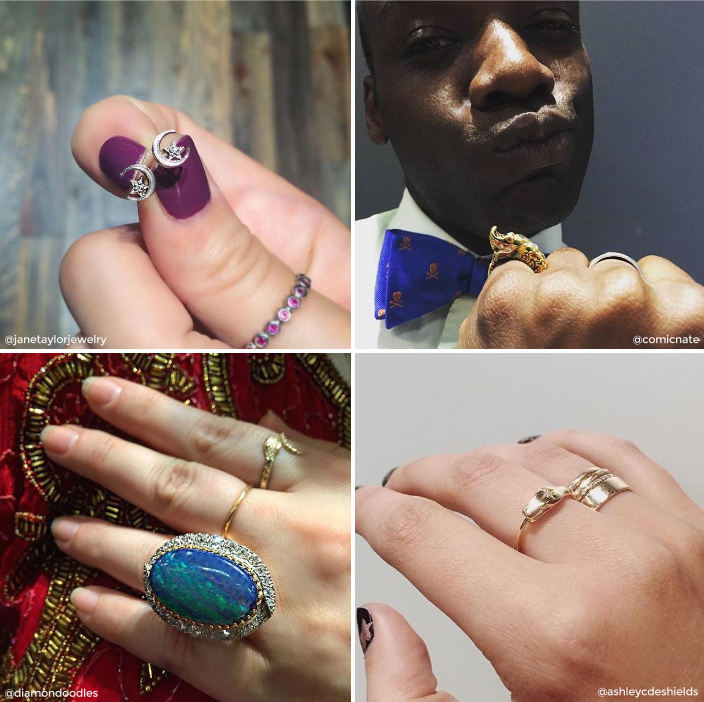 Many posted their favorite Doyle & Doyle jewels to Instagram for another chance to win and we’ve gathered four of our favorites below. Did you join us for The Gems? What was your favorite part of the night? And drop me a line at juliet@doyledoyle.com if you want to be added to our mailing list and get invited to our events!